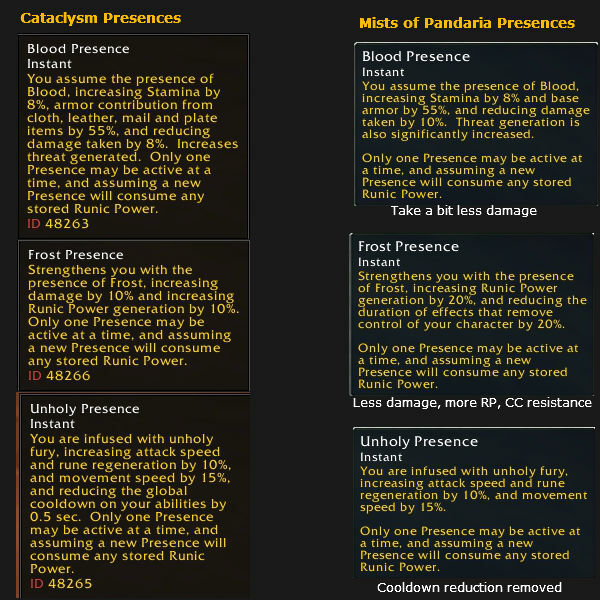 Death Knights in Mists of Pandaria are not undergoing any changes other than the talent revision that all classes are going through. Runes, Runic Power, abilities, pets, etc. will all function pretty much as they did before. 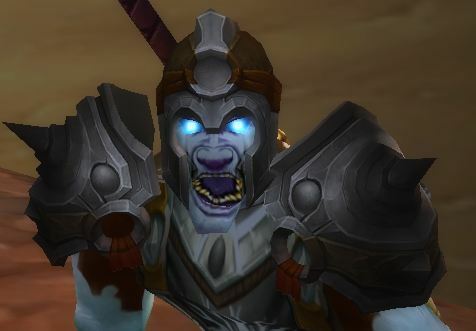 As far as the talent system, take all your Cataclysm builds and chuck ’em. The whole thing is being completely revised. 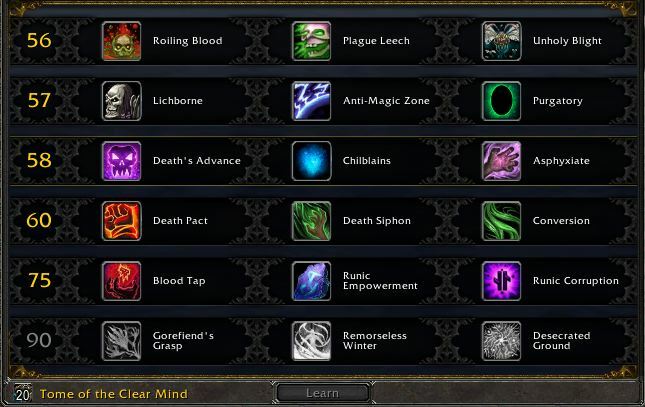 The Talents Table for DKs in M of P.
Any Death Knight of any spec can grab any one talent from any tier, for six talents at level 90. Hovering over each link should bring up a tooltip describing the talent. Roiling Blood – Your Blood Boil can trigger Pestilence Plague Leech – Consume diseases on a target to regenerate a random rune. Unholy Blight – Area effect (10 yard radius) infection via cloud of unholy insects. Lichborne – Undead for 10 seconds. Anti-Magic zone – Rduces incoming spell damage to party by 75% Purgatory – Fight on through otherwise fatal damage. Death’s Advance – Move faster and slows have less effect. Chilblains – Your Frost Fever victims have reduced movement speed and Chains of Ice immobilizes targets for 3 seconds. Asphyxiate (replaces Strangulate) – 5 second stun, silences if target is immune to stuns. Death Pact – Drain life from minion to heal self. Death Siphon – Damage enemy and heal self. Conversion – Convert Runic Power to Health. 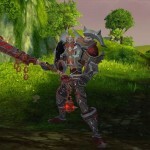 Blood Tap – Use charges, generated by some attacks, to regenerate depleted runes as Death Runes. Runic Empowerment – Some damaging strike will activate a ranomd depleted rune. Runic Corruption – Certain attacks will accelerate rune regeneration. Gorefiend’s Grasp – Kind of an A of E Death Grip that can be applied to friendly or hostile targets. All enemies in the area are pulled to the target’s location. Remorseless Winter Slows and eventually stuns targets within 8 yards. Desecrated Ground – Desecrates ground around the DK, making the DK immune to effects. Tome of the Clear Mind allows swapping glyphs for those who are 86+. Your Relic slot is gone.